It would have been a bit difficult some not so many years ago, for you to distinguish between a regular laptop and a gaming laptop. This is not the case today. Technology has evolved so much well over the years, and now there are so many gaming laptops that have flooded the market. Back then, having a computer with dedicated graphics, 8 GB of RAM and a decent processor, put you in a position of being able to game using your laptop. For an excellent gaming experience these days though, laptops that have been specifically designed for gaming are the best alternative. They come in many great shapes and sizes. If you want to have a great gaming experience, you most definitely need the best gaming laptop around. Gaming laptops do not need to “look” like a gaming laptop, so that it can work great. It just needs to have the required specs for it to perform as expected. For a fulfilling gaming experience here are some of the best gaming laptops around. The first laptop you should take a look at is the Asus ROG Zephyrus gaming laptop. This is among the best gaming laptop in the market right now. The Asus gaming laptop’s performance is excellent with its thickness being just under an inch. The laptop has these properties: the CPU is Intel Core i7, a storage of 512 GB, a 15.6 inch screen which is FHD. It also has an anti-glare screen which has a broad view, among other properties which makes it great for gaming. As you have seen this laptop’s power is astonishing, and it has a great cooling system which is quiet thus you are not distracted by fanning noise while gaming. It is a very innovative laptop thus making it an excellent choice for you. The other laptop that you should consider having a look at is the MSI GS65 Stealth. This laptop like the other laptop you have seen possesses great qualities. This gaming laptop’s performance is excellent and its design is very beautiful and simple. It is also a great laptop, for when you are always on the move, but you don’t want anyone to take notice of you playing your games. Its CPU is an Intel Core i7. This gaming laptop has a 15.6-inch wide screen which has anti-glare. Thus you can play your games for long without straining. The laptop also has top quality graphics so you’ll enjoy playing and watching your games. This laptop is highly recommended because it also has an impressive storage space of 512 GB. This can be argued to be the best gaming laptop in the market currently. Unlike its two counterparts, this laptop is relatively big. This gaming laptop is a great replacement for various desktop gaming laptops. Its CPU is an 8th generation core. It ranges from Intel Core i7 to i9. The MSI GT75 Titan has a wide 17.3 inch screen which may be FHD or UHD. It may be a big laptop but its raw power is astonishing, this is a great thing because you can play any games pushed your way. It also possesses great graphics. These gaming laptops are a hot commodity, and can be spotted anywhere now. Almost every gamer has heard about it. This laptop has a large screen. 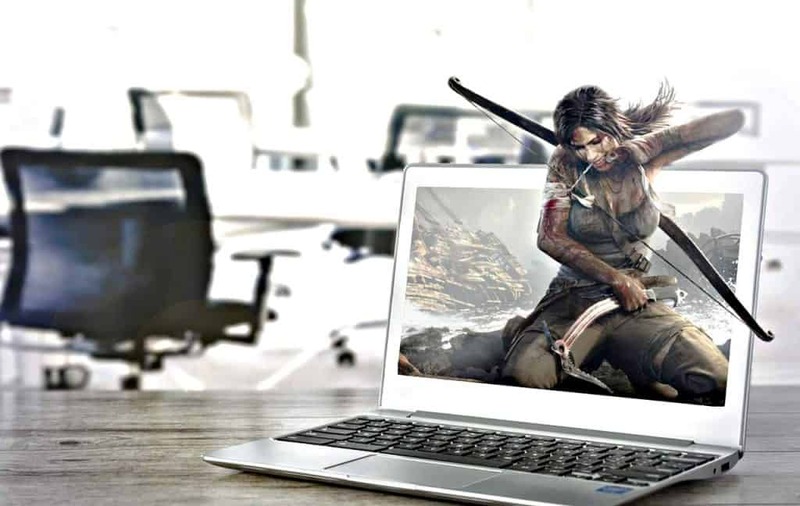 It is a great laptop for when you want to crush that game. Its capabilities are great and definitely worth the price at which it is sold. This is definitely a gaming laptop that is among the top 5 best gaming laptops. Its CPU ranges from Intel Core i5 to i7. It has a very impressive screen that is ultra-thin therefore it makes the laptop super portable. It has great graphics and a large storage capacity of 512 GB. Those are just a few of the best gaming laptops, that have excellent capabilities and are going to deliver a great gaming experience for you, whether you are a professional gamer or you are just gaming for fun. You need to check out and compare some qualities from these great laptops to ensure that you are getting a good deal for your money. Look out for properties like the graphics, the storage, the CPU and this will aid you in making an informed decision on what gaming laptop to buy.